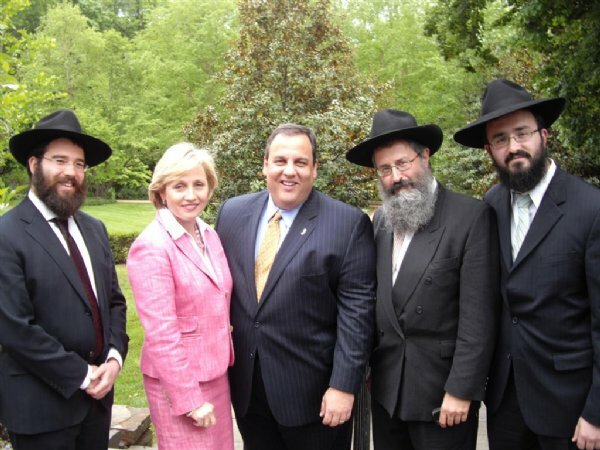 Governor Chris Christie of New Jersey gathered over 50 leaders of the Jewish community to his personal residence in Drumthwacket, Princeton, NJ to partake in a signing ceremony. 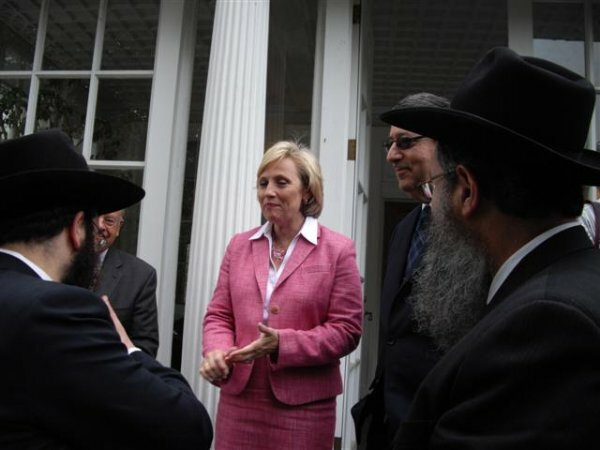 Community leaders came from the northern tip of Sussex County to the southern counties of Atlantic and Cape May to participate in the official launch of the Jewish-American Heritage Month. The Governor, accompanied by Lt. Gov. Kim Guadagno, addressed the issues facing the state population, and specifically the budget needs. The Governor spoke at length regarding the educational needs of every child, and lauded the community efforts in instilling moral and ethical values in the educational system. 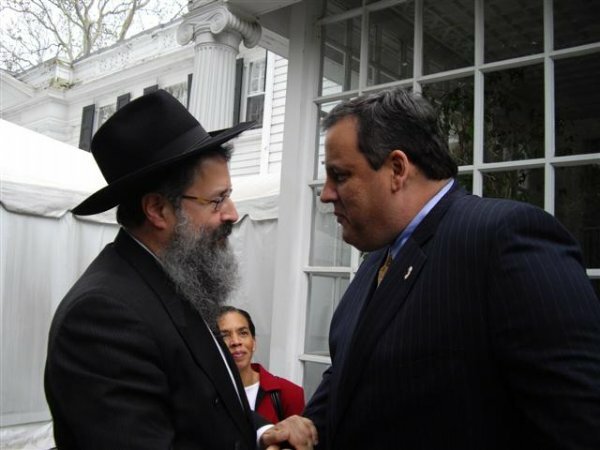 The Governor spent time in meeting all the participants, including Rabbi Yosef Carlebach from Chabad of Central and Southern New Jersey, Rabbi Leibel Schapiro from Chabad of the Shore, and Rabbi Mendy Carlebach, from Chabad of South-North Brunswick. 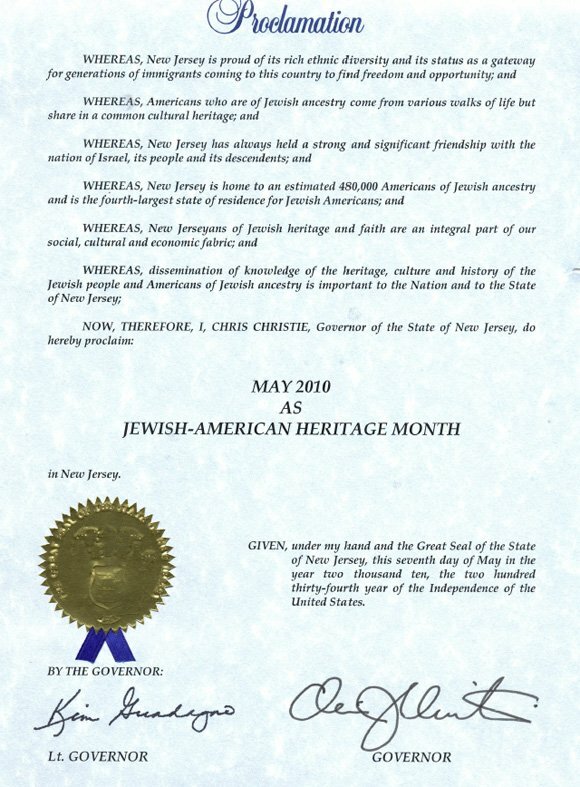 The Governor's Executive Proclamation notes that there is a strong and significant friendship between New Jersey and Israel, that there are an estimated 480,000 Jews in New Jersey, and that New Jersey is the fourth largest state of residence for Jewish Americans.